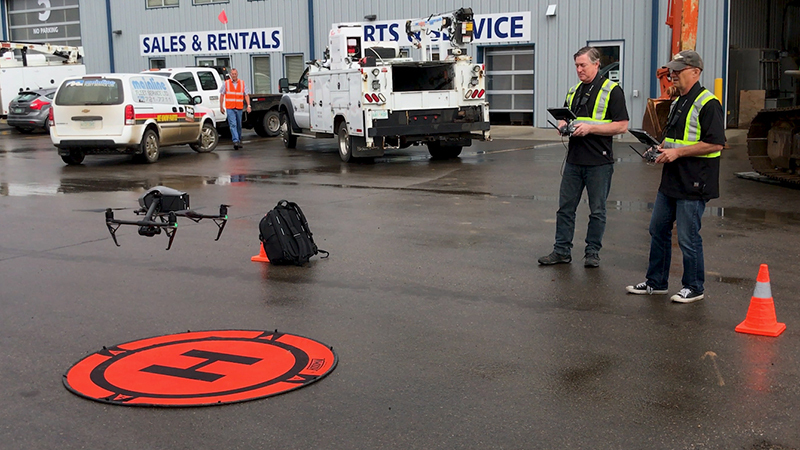 Behind the scenes with Java Post Aerial Photography at EMSCO. 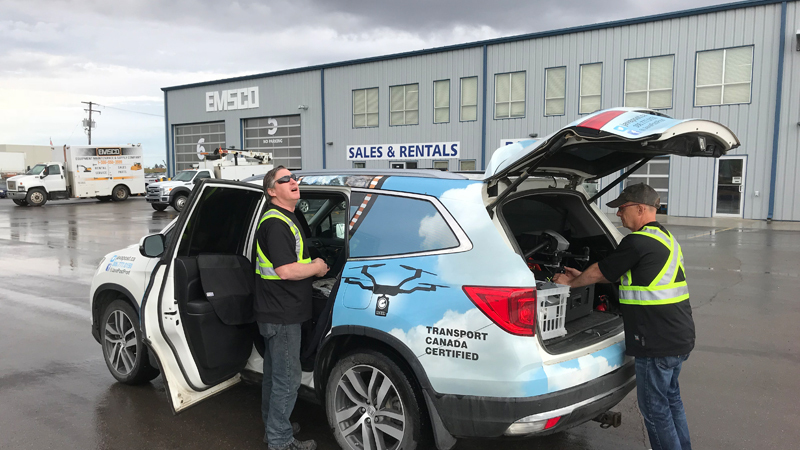 A behind-the-scenes look at the Java Post Aerial Photography crew as they conduct drone flight operations on location at EMSCO Equipment Maintenance & Supply Co. just north of Regina, Saskatchewan, Canada in May of 2018. 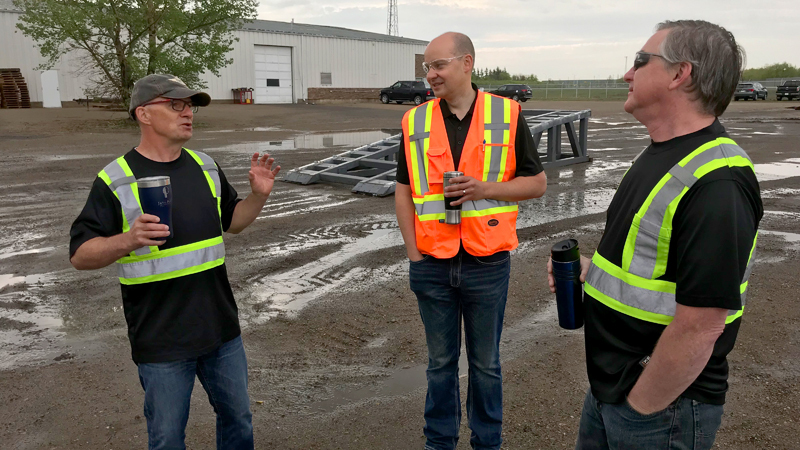 Java Post Aerial Photography chief pilot Jack Tunnicliffe (left) and technician/camera operator Trevor Bennett (right), talk through the flight plans with Devin Wallin, the marketing and business operations manager for EMSCO Equipment Maintenance & Supply Company. While Trevor checks the sky to see if the clouds will soon blow over, Jack unpacks the DJI Inspire 2 UAV (aka "the drone"). As seen in the video, Jack explains his precision-oriented (and not-obsessive-at-all) approach to take-offs and landings. 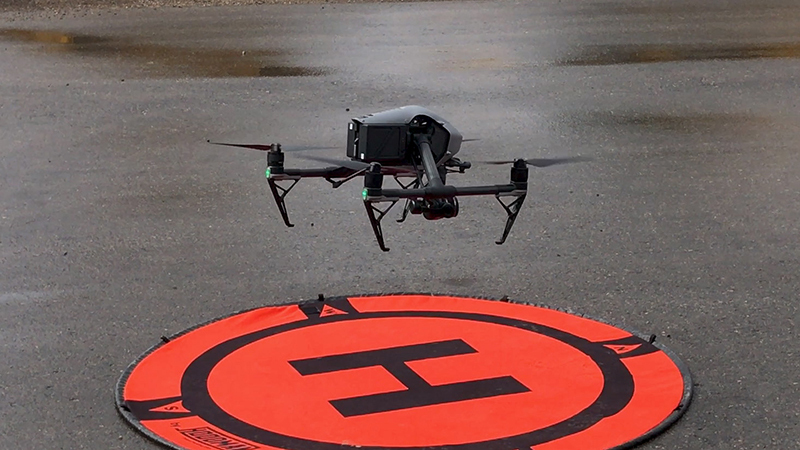 Our landing pad has a large "H" on it, and Jack challenges himself to always bring the drone landing gear right back onto that "H" at the end of every flight. 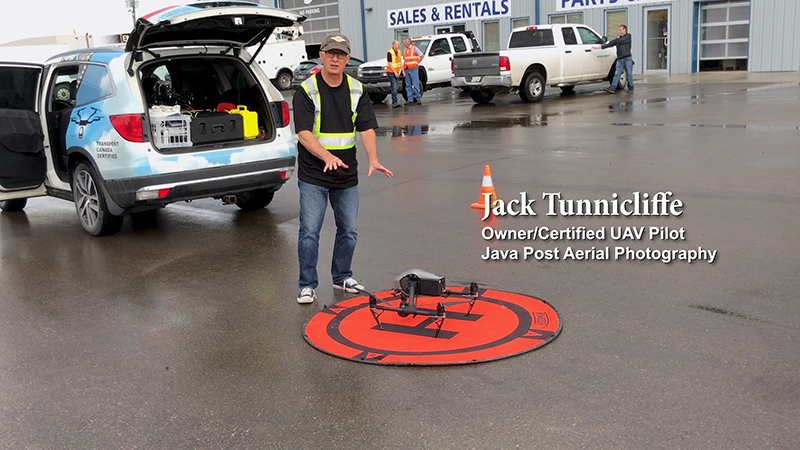 One of several UAV (unmanned aerial vehicles) or drones used by Java Post Aerial Photography. 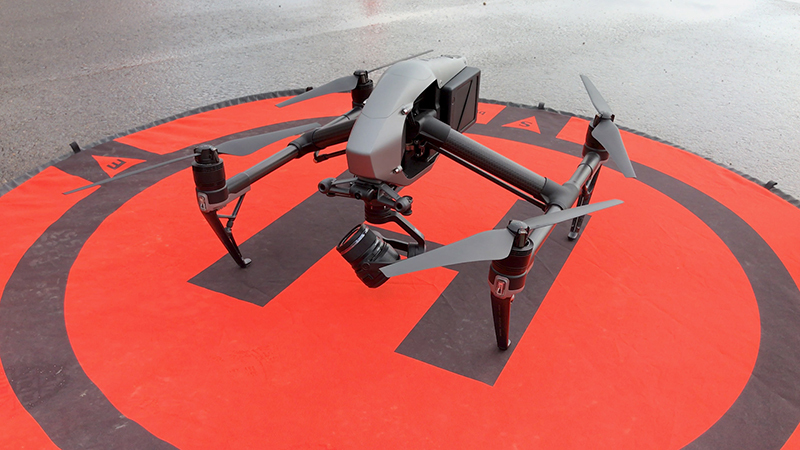 This particular one is a DJI Inspire 2 unit. 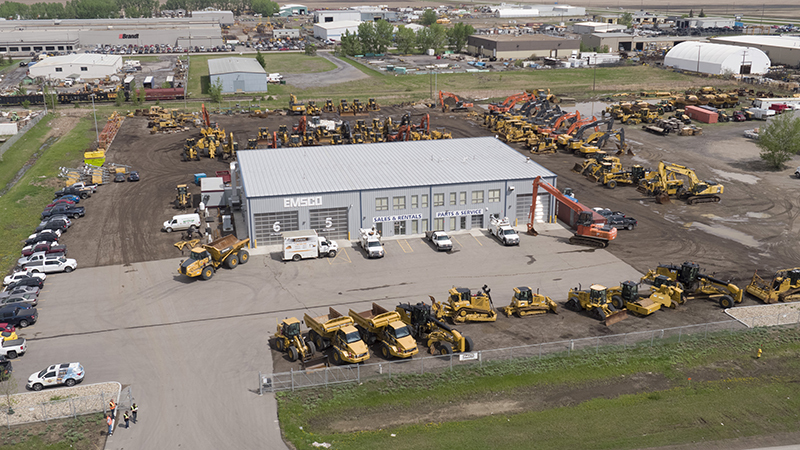 We have used this for applications ranging from feature films and commercials to corporate videos and 3D photogrammetry for construction developers. Trevor and Jack prep for takeoff. 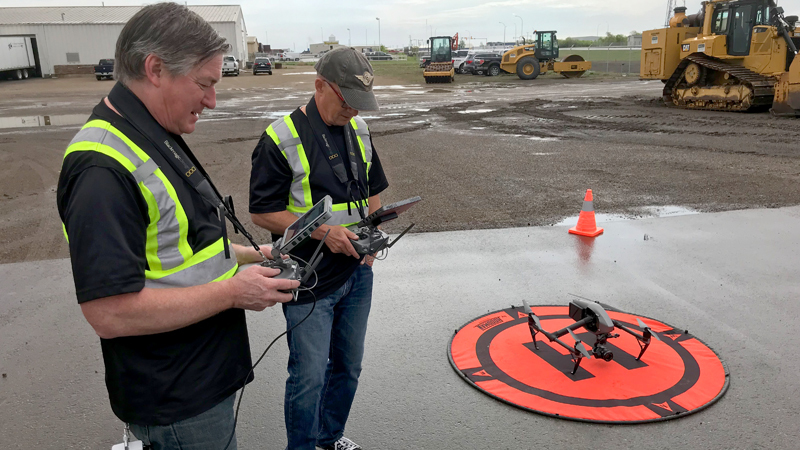 While Jack concentrates on piloting the drone, Trevor will focus on operating the camera to record 4K UHD video and high-resolution still photographs. 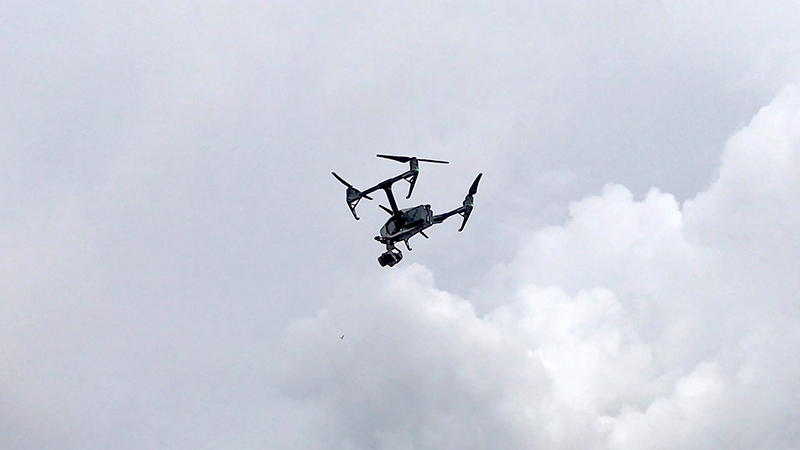 Working together, they will coordinate the motion of the drone with the motion of the camera to capture a wide variety of aerial images. 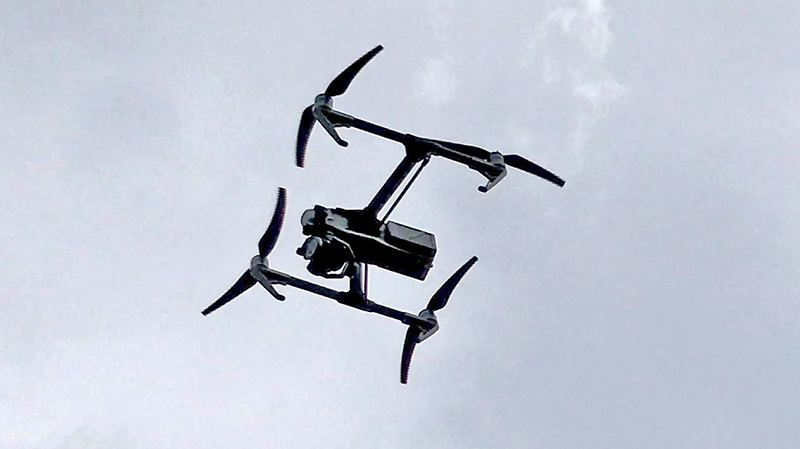 Recorded in flight, this still image of the drone makes it appear as if the four propellers are actually bending in flight. But that is just an optical illusion caused by the speed of their rotation. 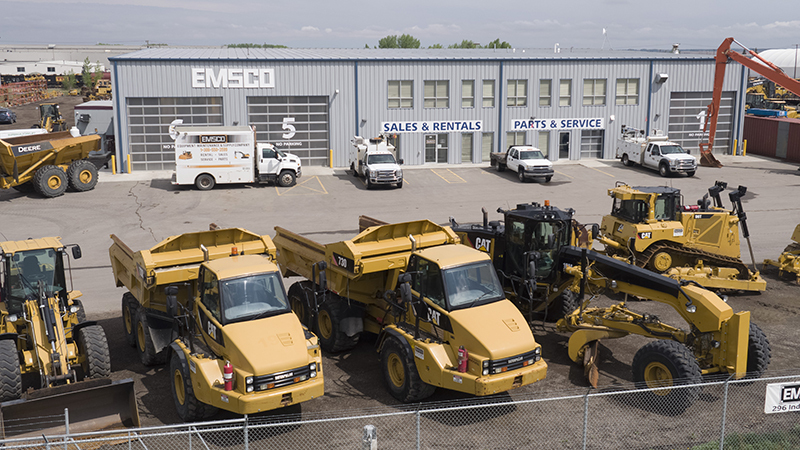 A few still images of the EMSCO building and yard, taken by Java Post Aerial Photography. And finally, we bring our drone in for a landing. Will Jack manage to put the landing gear right on the "H" as he said? You'll have to watch the video to find out! 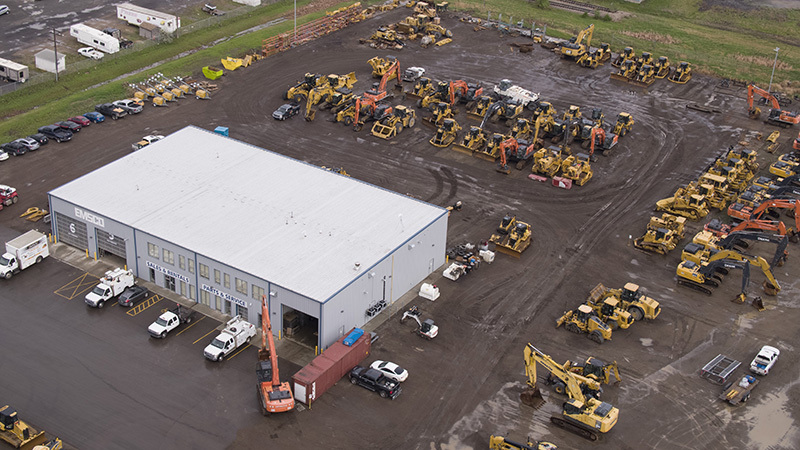 To view more examples of the work done by Java Post Aerial Photography, CLICK HERE. To learn about 3D photogrammetry, CLICK HERE.